Set over the course of one school year, this is the story of two star-crossed sixteen-year-olds—smart enough to know that first love almost never lasts, but brave and desperate enough to try.” (Summary found on Goodreads). I couldn’t put this book down. I loved it so so so much. Eleanor and Park broke my heart and made me squeal at the same time. I don’t ordinarily read romance or contemporary and this book reminded me of how much I need to read these genres more often. I loved everything about this book (except the ending) and read the majority of it in one evening. I finished the rest of it during my free time in biology class and spent a good minute or so staring at the last page and trying to figure out where the next chapter was. 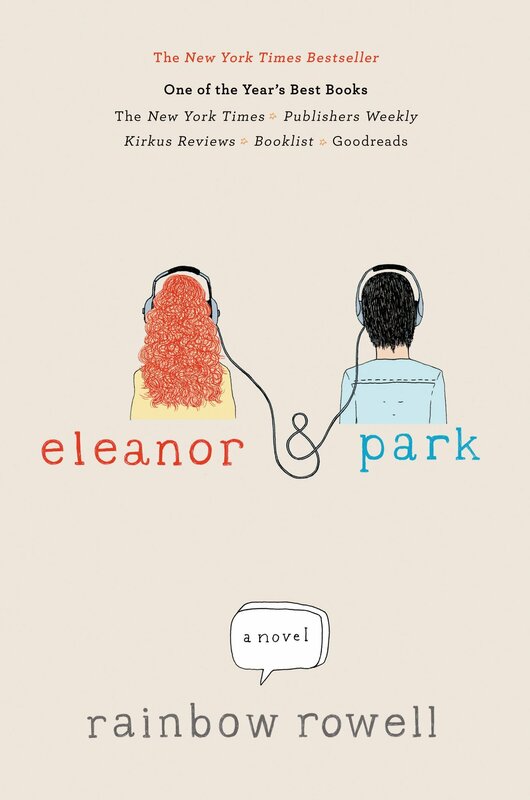 I loved that Eleanor and Park aren’t just normal people. They’re not popular or typical or anything considered ordinary. I loved both of their characters so much. I felt so bad for Eleanor, her situation was awful and the majority of the time I wanted to scream at her step-dad. That’s what I loved about Rainbow Rowell’s writing, that she made you feel something. Not every book makes you feel so strongly about the characters and their situations. I felt like I was with Eleanor and Park and being with them meant I felt everything they felt. I love having that connection with books and characters. Every word Rowell wrote was beautiful. Everything about Eleanor and Park was beautiful. This book was filled with wonderful quotes, but this is my favorite: “Eleanor was right. She never looked nice. She looked like art, and art wasn’t supposed to look nice; it was supposed to make you feel something.” This was said by Park and it was my favorite part of the whole entire book. I highly recommend that you read Eleanor and Park. Go pick it up now. You won’t regret it. I promise.